Come join us at FURUM 2016 - Tropical Paradise, an oasis away from the chaos of the city for furry folks like you to sit back and relax! 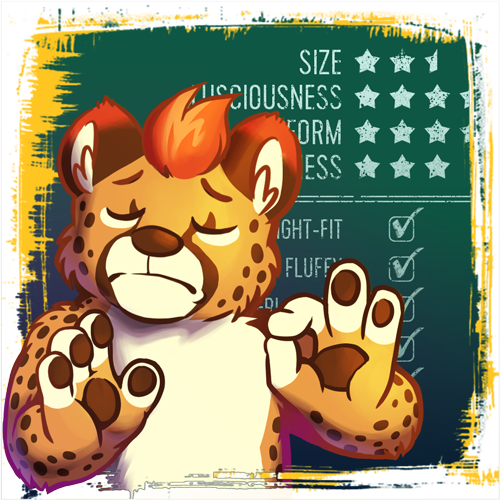 Our prestige guest CheetahPaws from the nation of Merlion. He is a passionate artist who inspires many with his distinctly-styled artworks and tutorials. Registration is now closed! Thank you for your support and stay tuned for more info and follow us on Facebook and Twitter. Bask in the warm rays of the sun as gusts of ocean wind swaying luscious palm trees and cools the sandy beach. Join us and don't forget to bring along your beach balls, as we take a trip to TROPICAL PARADISE! Shah's Village Hotel is located in Petaling Jaya- a city to the west of Kuala Lumpur. Traditional, yet elegant and peaceful, its tropical garden is beautifully landscaped with full grown palm trees surrounding the swimming pool. First time attending a furry convention? Start yourself out by attending this panel and you’ll be able to hear the basic do’s and don’ts during a convention. You will also discover how to get the most out of your convention experience. Hear the basic do’s and don’ts during a convention. 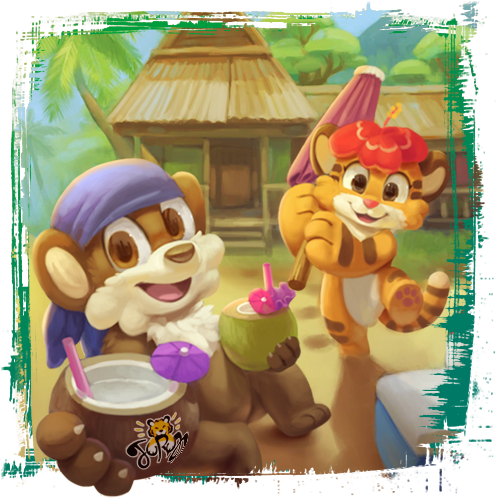 There is no better way to break the ice than to gather around and form friendships by uniting together with your fellow fur-riends as you participate in fun-filled group challenges! Gather around and make friends with your fellow fur-riends. A series of delightful yet challenging games that will test even the best fursuiters. So embrace your other self and compete with the rest of the fuzzies or cheer them on as they attempt their best in these wacky challenges! A series of delightful yet challenging games that will test even the best fursuiters. Kick back, relax, and enjoy dinner with our Guest of Honor. Pose and smile for the camera! Join in and be your most photogenic self as our talented photographers capture all the happy moments we all share together that you can bring back home. Pose and smile for the camera! Join in and be your most photogenic self. March in together with our fellow fursuiters as they wander and parade around the convention! Parade around the convention with our fellow fursuiters! Come say hello to our Guest of Honor and hear about what he does and how he does it. Not only that, you’ll also be able to expand your knowledge on the creative medium as he explains his life experiences as an artist. Come say hello to our Guest of Honor and hear about what he does and how he does it. Newbie or not, come join in the fun and 1up your opponents at the digital arena in this epic brawl. Join the fun and 1up your opponents at the digital arena in this epic brawl. Dealer's den is now open for business! Features handmade crafts, art commission and even upgrades for your fursuit! Drop by to see what our local furs have to offer! Features handmade crafts, art commission and even upgrades for your fursuit! Shake that tail, and hit the dance floor; We dont judge, whether you're dweeb or pro. Stay over after dinner to showoff your dance moves. Stay over after dinner to showoff your dance moves. A glimpse into the wondrous, magical process that turns fursonas into wearable artworks. Hosted by our guest from Thailand - Gao and Crowwingwolf. A glimpse into the wondrous, magical process that turns fursonas into wearable artworks. The art of making things move. Learn how it's done from drgnalexia. His works are well-known and featured in various furry conventions. Visit here for his latest work for NordicFuzzCon. The art of making things move by drgnalexia. Visit here for his latest work for NordicFuzzCon. Cheetahpaws is an illustrator who has enticed many with his paintings. From the island of Singapore, his passion for art has him constantly pushing his boundaries, striving to be better with every piece he makes. While not working on his artworks, he is also a fursuiter, bringing joy to those around him.